Ever been in one of those “I have to be more strict with myself”-moods? …and as you’re thinking “discipline” something inside your mind already frowns on the idea. 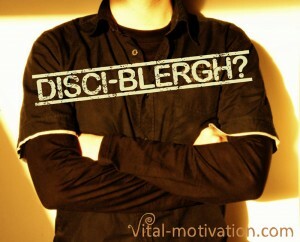 The concept of discipline has a very negative edge to it for a lot of people. It feels like a tough way in which you have to be hard, cold and strict with yourself. An outside corset. Something that you have to force yourself to do. Definitely not fun. 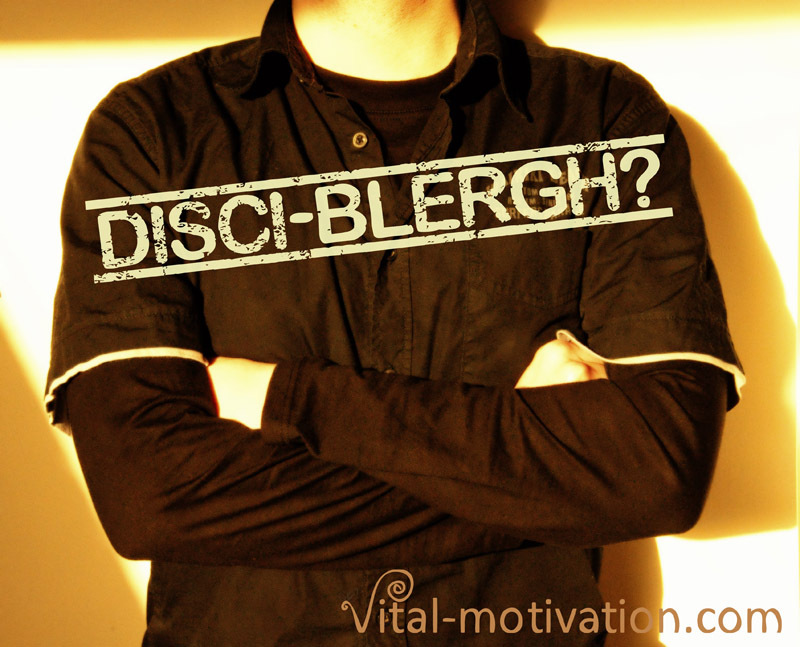 Disci-blergh! And still it looks like something that we have to have in order to be successful. But it’s so damn hard. So blergh. Is it though? What is discipline? Is anyone standing behind you, ready to whack your head as you take a “wrong” turn? Don’t think so (and certainly hope there isn’t ;-) ). There’s only you and the choices that you make. If you let your plans slip for a moment accept it. It was your own choice. The best thing you can do is to be ok with that and deal with the situation now. So in the end of the day, what does it come down to? Is it there a mysterious character trait that others have and you’ll never be able to have? Nope. Forget the word discipline if it’s standing in a way. It’s only a label and labels can be misleading once they’re connected with a lot of negative meaning. The essence of the story is a choice. Not a once and forever decision but a choice that you make again and again. Every day of your life. It’s about choosing your path as you’re on it. And don’t count the times at which you didn’t make the choice you had intended to make. It’s about every single time that you deliberately choose it. Focus on those moments, every decision counts. Try it and become a pro in turning the concept of discipline into conscious choice. How do people get to their goals? They make the same decision again and again. Previous post: Affirmation of the Week (and Year): Talents to the Max!